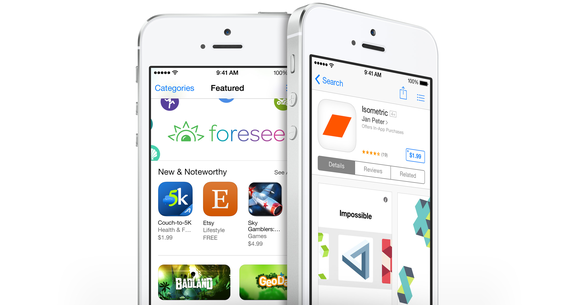 PopYard:Today's Tech.-What if you want an iPhone app Apple rejects? What if you want an iPhone app Apple rejects? The sprawling inventory of the iOS App Store can suggest a limitless universe of software possibilities. But a recent, quickly reversed app rejection by Apple offers an opposite lesson: Apple’s mobile-app marketplace has boundaries that Apple alone sets. The app in question is a free network-diagnostic tool called Wehe that’s supposed to tell if your Internet provider is interfering with certain video apps' traffic, say on YouTube or Netflix, a question on the minds of people who argued for keeping the recently repealed net neutrality regulations designed to prevent providers from slowing or blocking legal content. Northeastern University computer-science professor David Choffnes had shipped a version of this net-neutrality monitoring tool for Android app months ago without incident. But when he submitted a version for iOS, Apple rejected it. That may not make much sense if you’ve had, say, the Yelp or TripAdvisor apps on your iPhone offer “inaccurate determinations” about a restaurant or hotel. Choffnes had tried to appeal this rejection since the first thumbs-down in December, but the only thing that changed Apple’s mind was him going public, which yielded a bout of uncomplimentary stories about Apple’s rejection of an app meant to defend net neutrality. By Thursday, it had approved the app, and the resulting rush of installs left the Wehe servers struggling to deal with the new traffic. That’s the very thing that the first version of these guidelines counseled developers not to do, warning that “If you run to the press and trash us, it never helps.” But over and over, bad PR has been the one thing that can get Apple to reconsider an app rejection after appeals within the system have failed. Apple PR did not answer an e-mailed request for comment about Choffnes’ case. So if an Android app isn’t available on iOS and doesn’t suffer from obvious disqualifiers like transmitting malware, being spammy or inflicting a horrible interface on the user, a little campaigning by its developer might help. This may take persistence: An app called Metadata that pushes a notification when a U.S. drone strike happens got rejected more than a dozen times. Sometimes, that alone may not suffice, and it may be easier for the developer to ship a “Web app," a highly interactive site that you can add to your home screen, but which doesn’t require Apple’s approval. For instance, Web apps can send their own push notifications, so that drone-strike app didn’t need to exist in the App Store. Some categories of apps, however, will remain impossible in iOS no matter how much attention they get in the press. That’s because they violate not App Store reviewers’ sense of taste, but basic limits that iOS places on any app’s access to parts of an iPhone. For example, until iOS 11 Apple didn’t let third-party apps use the NFC wireless, a technology that lets phones send small bits of info over short distances. Only Apple's Apple Pay system could touch that circuitry. A similar restriction on app access to Bluetooth explains why there’s no iOS version of the free Skimmer Scanner app that Android users can use to detect hidden ATM card-skimming devices. In those cases, iOS users are left with two options, neither that great: Hope a future iOS release liberalizes things, or borrow somebody else’s Android phone.